Samsung’s products and services, located at the massive Booth, #11906 in the Central Hall, has won 100 Innovation Awards at CES 2016 as noted in How Samsung won 100 Innovation Awards at CES 2016. This was an improved showing on CES 2015, where they scored 80 Innovation awards as I’d pointed out in Samsung’s win record CES 2015 Innovation Awards. 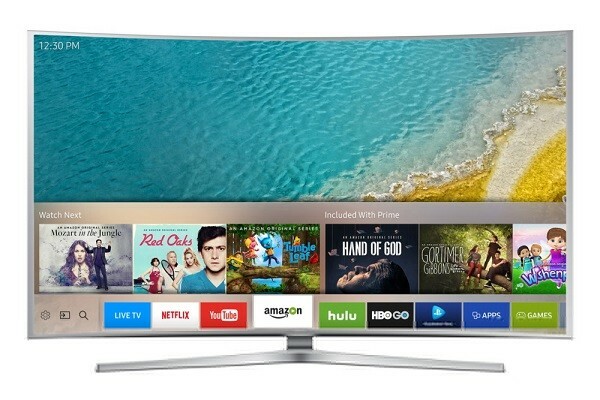 One of these awards was the Best of Innovations Award in TV with the KS9500 Series Curved SUHD TV, the World’s First Bezel-Less Curved TV, earning a Reviewed.com’s 2016 Editors’ Choice award, HD Guru’s CES Top Picks award and TechRadar’s Best of CES award. It shouldn’t come as any surprise, as the refreshed Smart Hub user interface for their Samsung Smart TV provides the customer with easy access to all their content with a single and fairly new Samsung Smart Control remote. This Smart Hub also works with their SmartThings Platform, which also interconnects all the products in your home into one place, setting up Samsung as a central controller for all your IoT (Internet of Things) gadgets in your Home as described in How Samsung’s SmartThings Platform makes CES 2016 SUHD TV’s IoT Ready. So does this mean that 2016 is the Year of Home Automation as well as the IoT, with Samsung being the Smart Hub of activity for all of your Home Entertainment gadgets? Samsung’s new enhanced Smart Hub interface for their series of Smart TV was developed in part by the Samsung Customer Experience lab in Silicon Valley. To quote Chris Turkstra, Vice President of the Lab, they’re trying to centralize your Smart Home experience, quote: “We wanted to offer consumers a new type of experience, integrating live TV with streaming services and other content sources. No longer will you need to keep track of several remotes to control individual devices. All you need is one Samsung Smart TV”. The Smart Hub aims to do this, by integrating multiple content sources and devices into one content and services platform. This allows customers to switch seamlessly between linear content, OTT content as well as other connected devices, including videogame consoles or Blu-ray players. The new Smart Hub interface Tizen OS represents a shift away from multiple content sources and devices, to one integrated content and services platform. Consumers will now be able to switch seamlessly between linear content, OTT content as well as other connected devices, including videogame consoles or Blu-ray players. The much-improve customizable interface makes it easier for customers to search popular titles, eliminating the barrier between source and device allowing quicker access to what customer really want to see on the devices they already have. This thanks to a single Samsung Smart Control that allows you to control all devices connected to your Samsung Smart TV, eliminating the need for multiple remote controls. Also the Samsung Smart Control makes it easier to control your multiple IoT devices on the SmartThings Platform as described in How Samsung’s SmartThings Platform makes CES 2016 SUHD TV’s IoT Ready. So no more multiple Apps for your different Internet connected devices; your Samsung Smart Control does it all, controlling smoke detectors, thermostats, cameras and motion sensors in your home straight from your Samsung Smart TV. The Samsung Smart Control Remote uses automatic source recognition, making it readily recognize set-top-boxes, OTT boxes, Blu-ray players, game consoles as well as other connected devices. Your Home Entertainment System will come together as one symphony of Home Entertainment in the IoT.